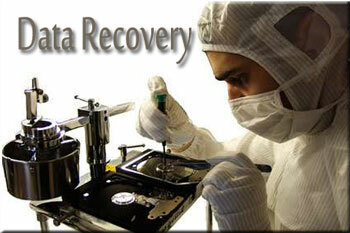 Folkestone Computers have 20 years experience in data recovery from damaged hard drives. We recover data from clicking hard drives through to RAID systems. In the case of deleted files or formatted drives, data can often be recovered relatively easily so long as no more data has been written to it since. Corrupt firmware can be either repaired or bypassed in order to access the data on the drive directly. Physically damaged drives may need repair, such as replacement of heads or motors, before the data on them can be read successfully, but these can sometimes be recovered without repair work. Our pricing for hard drive data recovery ranges from £75. At the lower end of the spectrum are cases where files have been deleted or drives have been formatted. Next up from there are firmware issues, and also some drives that display clicking or whirring sounds as these can often be read using our tools. At the higher end of the spectrum are those drives that require physical repair, as this is a time-consuming process that requires a certified clean room and highly skilled technicians’ in this case we send the drive away to the LAB. Until we run some tests on your drive it’s difficult to advise exactly what the cost will be. Our initial assessment costs £75. Quite often it’s possible to recover data from drives which seem badly damaged, without carrying out expensive repairs, so the above information should be considered as a guide only.